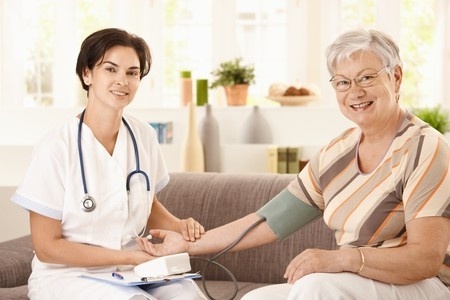 For the most part, as a certified nursing assistant, you will be focusing largely on the rights of the patients, such as the right to be treated with dignity, the right to care etc. But what about your rights as a certified nursing assistant? You do have them and you should be mindful of them so that you don’t get caught in a damaging situation. Your rights as a CNA include things like working overtime, safety on the job, and other things that may not occur to you. So what are your rights as a certified nursing assistant and how do you make sure you get them? Some patients may become violent and assault you out of anger or despair from their situation. It is important to be prepared for this situation and have a code word to shout when you need help and you have the right to get that help! Make sure to document what happened after just in case the patient accuses you of abuse. You also have the right to be free from verbal and physical abuse from your co-workers as well; make sure that if another assistant or even a nurse or doctor is abusing you in anyway, that you report it to a superior. It may be frightening at first, particularly if the abuser is someone higher in seniority that you, but you have the right to a safe workplace. You Have the Right to Get Paid! As a certified nursing assistant, you will have plenty of times where your breaks get cut short, your lunch hour gets skipped and you have to work overtime in order to fulfill the needs of your patients. Make sure to get PAID for these times! The medical faculty may try to ‘trick’ you into working for free by not making you aware of the fact that you should be getting paid for your overtime or by claiming that they didn’t know you were working (implying you volunteered). However, so long as there can be a reasonable assumption that you would be working if you claim to be, then you have the right to get paid. Keep track of your hours and make sure whoever is in charge of paying you gets them. Put simply, you have the right to not be sexually assaulted, beaten or yelled at even by the patients; if one is making you uncomfortable, make sure to notify your supervisor of the fact and see what can be done. Alternatively, you also need to remember not to take gifts, money or expensive things from residents even if they offer it to you; it’s far to easy for the family to scream ‘foul’ later on and you’ll be busted. If a patient is insisting on giving you something, talk to your supervisor, document everything and try to convince him or her to give you something innocuous like flowers or a handshake instead. A lot of CNAs don’t think of themselves on the job and that’s an admirable, but slightly unrealistic trait. You don’t lose all of your rights when you walk in the hospital any more than your patient does, so don’t forget to treat yourself with dignity too! These are just a few of your rights as a CNA which get overlooked or forgotten but can cause a lot of damage in the long run. Understand your rights and use them as needed so that you can have the best possible work environment supporting you on the job.